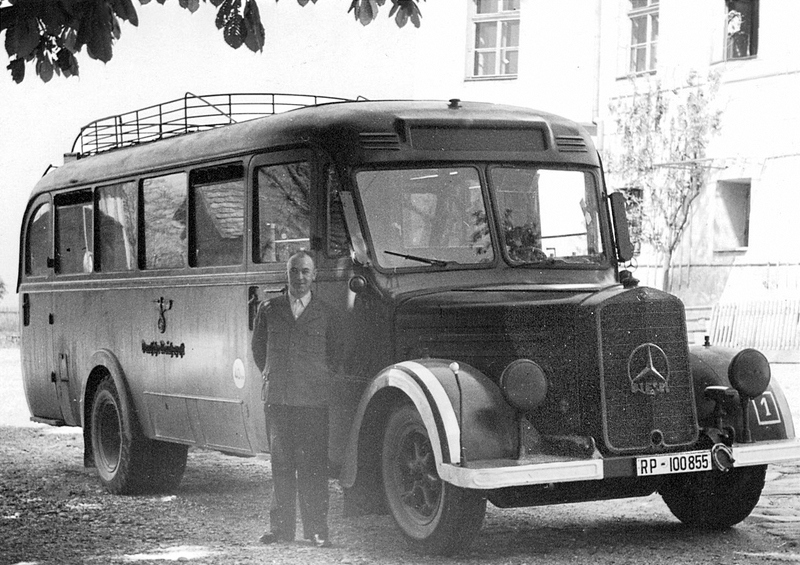 Used by the German Post Office for post and passenger transport. Some were also used to transport victims in in the Nazis' T-4 'euthanasia' program and this one is believed to have been used by the NS-Tötungsanstalt at Hartheim, showing also its driver. Mercedes logo, diesel-fueled, starting crank handle hole, roof fittings for luggage, dimming light, winker and blinking turn signal. headlights darkened, white lacquered bumper, corner visor antennas.